Aikido is a Japanese martial art involving a wide range of throws, joint locks, and takedowns. Aikido does not focus on punches and kicks, but rather on how to deflect the impact of punches and kicks. 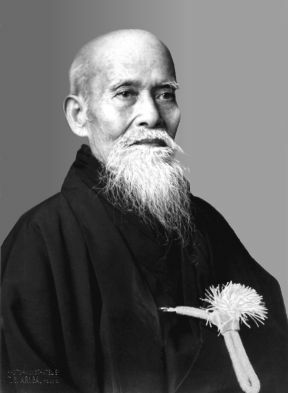 The techniques of Aikido do no result in the conflict of opposing forces or the matching of power. The way in which Aikido employs power is what makes the techniques effective. Attacks are not stopped but are allowed to continue. Body movement is coordinated in such a way that the power of the Aikidoist is joined with the power of the attack. In this manner the force can be redirected harmlessly and harmoniously. Most attacks come in a straight line, whereas most Aikido movements are circular. The straight attack is drawn into centrifigal force of the circular motion and thrown off, much like the effects of an object entering the field of a spinning top. We call this redirection of an attack "leading" the opponent's inner energy or intention. In order to lead others, we must first be able to lead ourselves. This type of mind-body control can occur only when the mind and body are relaxed and calm.